Rotterdam was founded in the mid-13th century following the construction of a dam on the river Rotte, and received municipal rights in 1340. 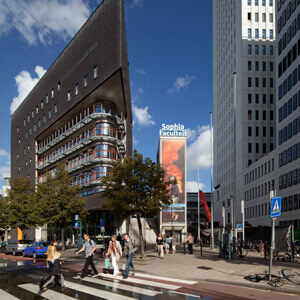 It is the second largest city in the Netherlands. 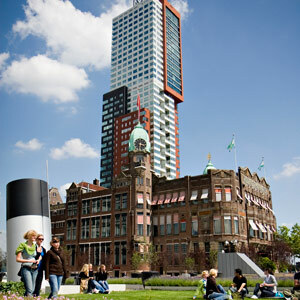 In the years following World War II, Rotterdam emerged as the most modern, internationally oriented, high-rise city in the Netherlands. 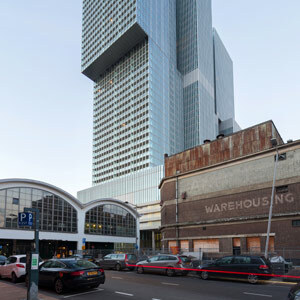 The city can justifiably call itself one of the most popular congress destinations in the Netherlands, mainly due to its event locations, its wide selection of four and five-star hotels, its superb restaurants, vibrant nightlife and good accessibility. 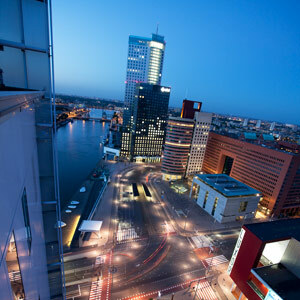 With an imposing skyline and landmark bridges, Rotterdam is a city that you will never forget! 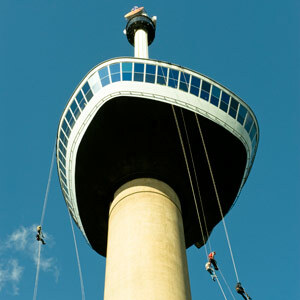 RET provides public transport by bus, tram, metro and ferry in the Rotterdam area. Use RET travel planner to plan your journey. 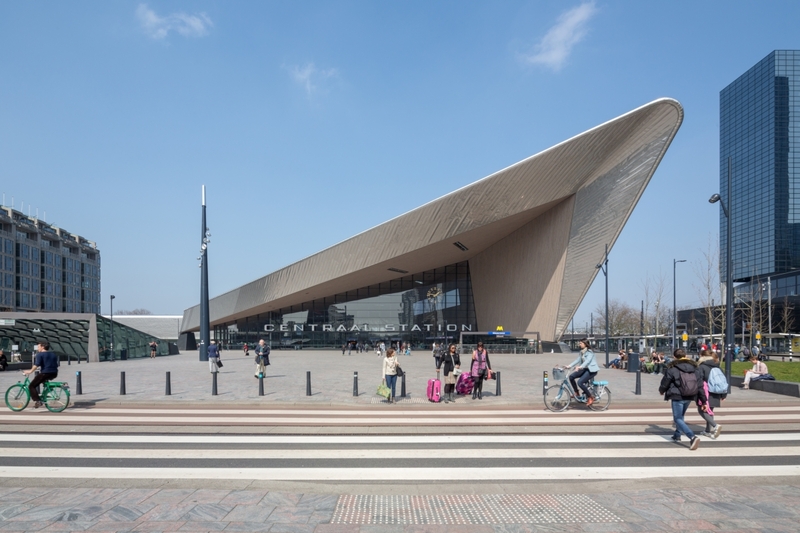 To travel by bus, tram or metro in the Rotterdam area you need a ticket. There are different kind of tickets (OV-chipcard) available. You can pay for public transport in Rotterdam using the OV-chipcard. OV-chipcard page describes how to use the card. 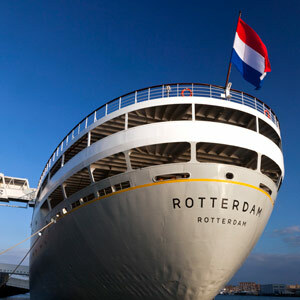 With the Rotterdam Welcome Card you get an OV-chipcard for unlimited use of public transportation (for 1, 2 or 3 days) and save over € 250 on the best attractions, museums, restaurants theatres and clubs in Rotterdam! With a Tourist Day Ticket you enjoy unlimited travel by bus, tram, metro and waterbus throughout the South Holland Rotterdam & The Hague region for a fixed price for a whole day. The ticket is valid all day from the time you first check in until services stop running. Always check in when boarding and check out when exiting the bus, tram, metro or waterbus. Price: €13.50. The Tourist Day Ticket is valid with the following carriers in the South Holland Rotterdam & The Hague region: Arriva, Connexxion, HTM, HTMbuzz, RET, Veolia and Waterbus. The Tourist Day Ticket is not valid on trains, Fast Ferry, Driehoeksveer Ferry, (small) neighborhood buses, night buses, public transport taxis, or on buses 195 and 295. The Tourist Day Ticket is on sale at the service points of the transport operators, at a number of hotels and leisure facilities, and at the tourist offices in the larger centres in the region. 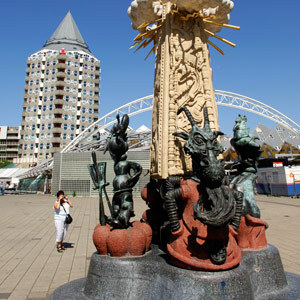 You can find all points of sale at www.touristdayticket.nl.